« You personal info in the wrong hands? 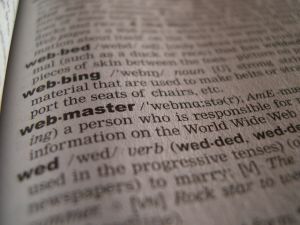 So you want to be a webfundi? Your department decided it’s time to get with the programme and update that ancient website. And you are the lucky chosen one to manage the project. Don’t panic, it’s not as difficult as it seems. Let’s start by defining the various types of websites the university hosts and publishes. This includes the faculty, school and academic departments, division, unit, centre of excellence and institute websites, institutional web portals: student portals; staff portal; alumni portal; prospective student portal, student residence and association websites, institutional blog and wiki services and other websites of affiliated entities hosted on university servers. Each department, faculty, division or institute is responsible for it’s own website. IT supplies the platform and infrastructure on which this site is hosted and assists with the initial administration process. The building and maintenance of the site remains the responsibility of each entity. So where do you start? Before jumping in at the deep end, there are a few decisions you need to make. Firstly – and this is probably the most important one – establish what your department’s needs are and which platform would be the best option to run your website on. If you’re unsure what your options are, read more here. Ok, so you’ve decided which platform to use. Your next step is to find someone to build and maintain the site. Although it seems like the easiest and fastest option to employ an outside company, just keep in mind that a website needs to be updated regularly. Initial set up costs will be high and you might need to keep on paying the company for maintenance if it’s not implemented on an easy, user-friendly interface. In the long run you will be better off investing in the training of someone within your department. And lastly, register the person responsible for the website as pagemaster. This person doesn’t necessarily have to be the same person responsible for the updates and maintenance, but it would make administration considerably easier. The registration request can be made by completing a simple form. As soon as the application is completed and processed, an e-mail will be sent to the contact person with the necessary information. You will also find more detailed information on our self help wiki regarding ftp, blog and wiki applications, etc. Feel free to contact us for any additional information you might need.